Dr. Seuss’ birthday is just a few weeks away. March 2 falls on a Saturday this year so it will be a great day to celebrate by doing crafts and activities at home with my kids. I’m sure we will be celebrating for several weeks. I’m helping plan a big Dr. Seuss style carnival for our school read-a-thon mid March and will share more about that soon. 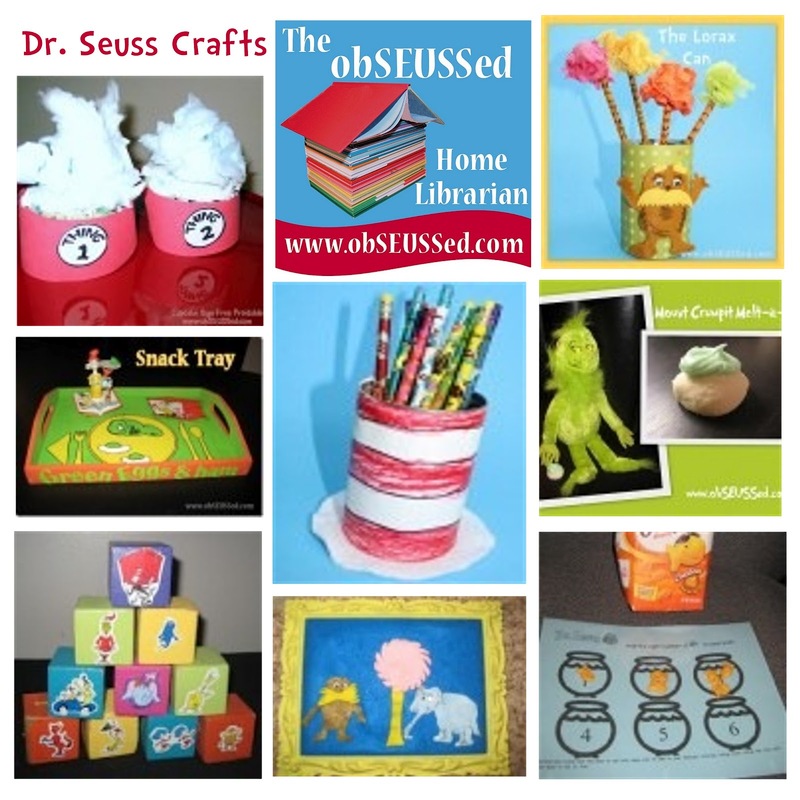 When I started this blog, I wanted it to be a place to share craft ideas and activities inspired by Dr. Seuss. I also wanted to share other children’s book crafts and activities to keep kids excited about reading. I created the Dr. Seuss Link Collection as a place for bloggers to share those Seuss inspired ideas. Make sure you take a look at nearly 300 fabulous ideas that bloggers have shared. I’ll be featuring a few of them in the next few weeks. Then Pinterest came along and it has become the place I’ve gathered more than 1,500 Dr. Seuss crafts, activities, snacks, party ideas and more. I’m blown away by the creative ideas I’ve seen. I’ve loved to see other people just as obSEUSSed or even more obSEUSSed than I am. This love of Dr. Seuss connects us all. If you have access to Pinterest you must browse through some of these ideas I’ve been gathering. They are overflowing on one board so I am in the process of splitting the pins onto more distinct boards. This is the best place to find all your Dr. Seuss inspiration. I hope you’ll pick up a book and read to a child and plan an activity to go along with it. It doesn’t have to be complicated. Reading is the most important part. Here are a few of the projects I’ve created and shared on obSEUSSed. I hope you find some ideas to help you get started. Click on a picture below for more details about the projects.